(now Smith) gave birth to a baby girl. Marty Cohen celebrated his 80th birthday. RMP review paper published: 041001. Taichi Inaki presented his MSI thesis to his committee. New book published with Peter van der Straten. Read more here. Welcome to the Metcalf Research Group! Welcome to the research group of Dr. Harold Metcalf. The group is currently composed of people ranging from undergraduate students to professors. 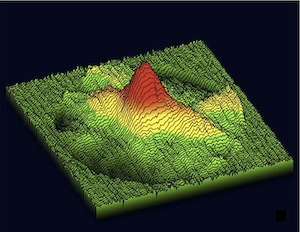 Several different experiments are underway in the area of atomic and optical physics. The Research link provides a synopsis of the major experimental areas under study in our group. Bio­graphical information about each current member of the group is available under the People link. A listing of Publications is available, as well as recent News & Updates. The Activities page provides links to info­rmation about the various specialized graduate and undergraduate programs in which we participate. We welcome comments on the site by email to harold.metcalf [at] stonybrook.edu (Dr. H. Metcalf), or to anyone else (use the People link).